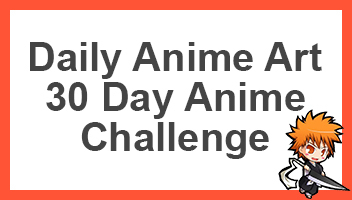 After a weeks break, Naruto has once again returned with a great manga chapter! 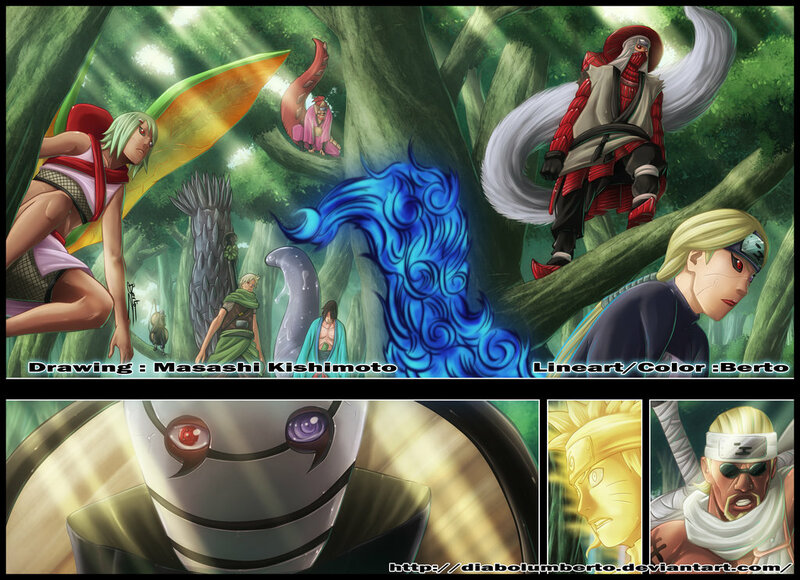 Naruto Clashes with the Masked Man, known to us as different characters, such as Tobi and Madara Uchiha. 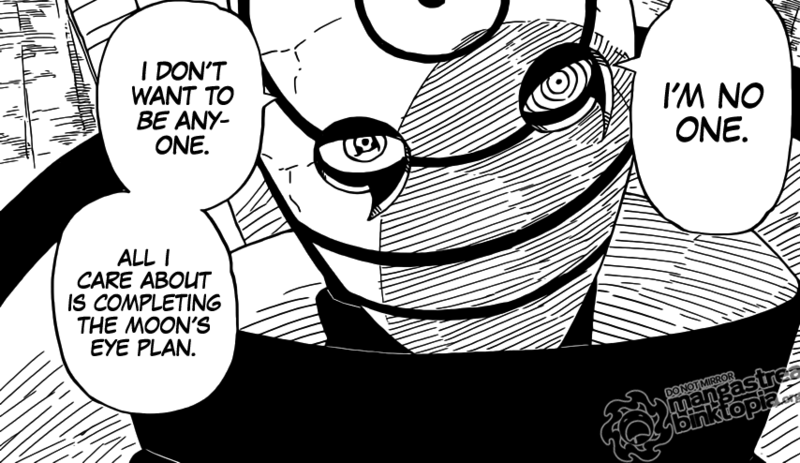 Naruto 564 begins with the Masked Man meeting with Naruto, we saw that most things go right through this man, so-called Tobi. 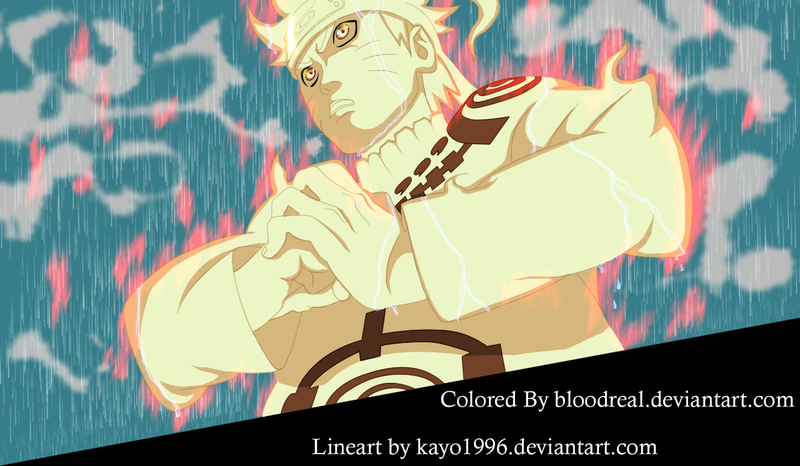 However here Naruto here didn’t go through him, instead they both bashed their heads together. 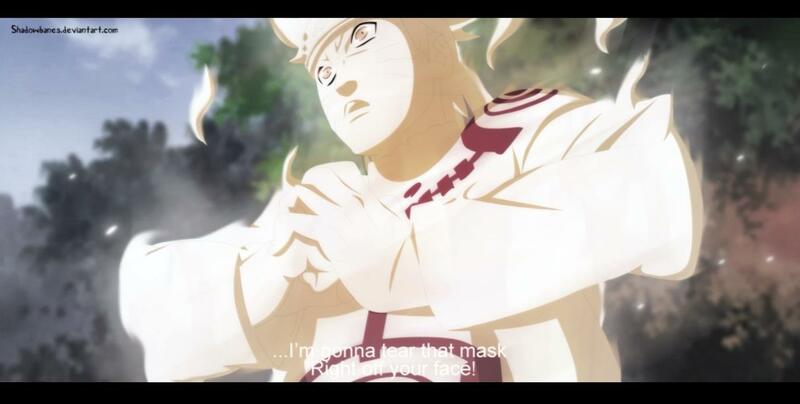 Even with Naruto’s enhanced strength, Tobi’s masked didn’t break! He says “It’s customer made out of special materials that are more suited for war”. 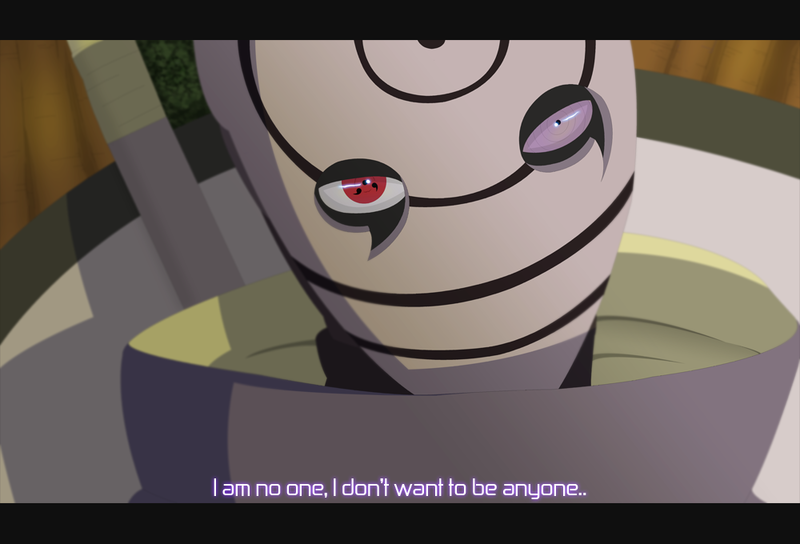 When Naruto asks who this Masked Man is, he replies, “I’m no One. I don’t want to be anyone. 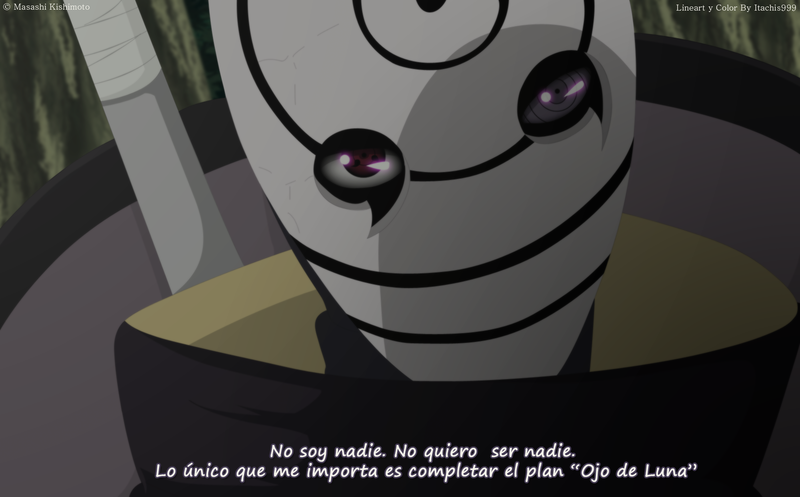 All I care about is completing the Moon’s Eye Plan.” Here I see that he’s a little worried about this 4th Great Shinobi War since he cares nothing about winning, I think that the war is in fact a distraction for the Masked Man to capture the 8th and 9th tail and start his plan. 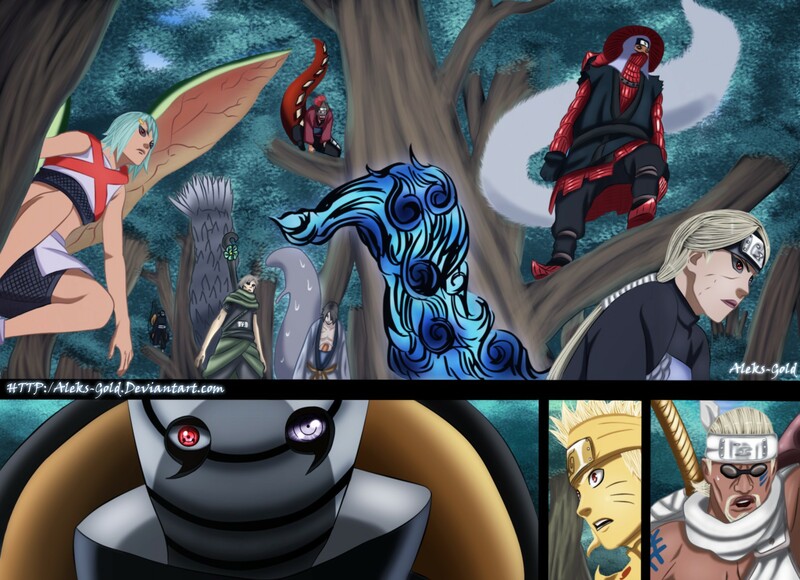 The Masked Man’s ended the chapter with “Eight-Tails… Nine-Tails… I will capture you both and complete the Moon’s Eye!”. Another great Naruto Manga Chapter! 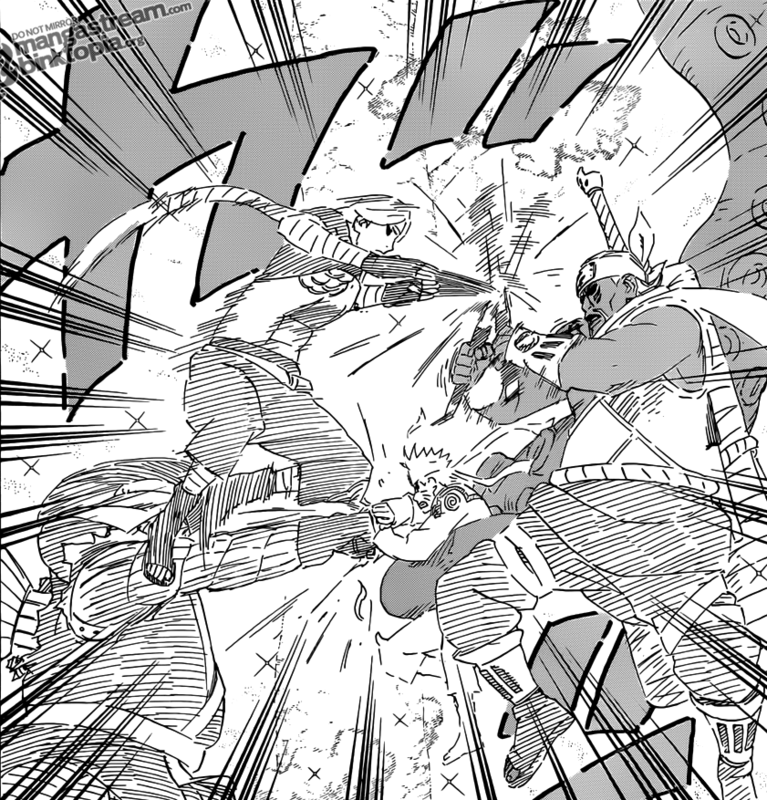 Don’t forget to read next weeks Naruto 565 Manga Chapter!